I’ve been married for almost twenty years. My wife is a fantastic cook. She can do things with chicken that few ever dare to dream of. If I have had one complaint concerning my wife’s cooking, it would be that at times it seems there is one ingredient missing. You know what I am talking about; when the smell is intoxicating and the appearance causes the kind of drool that involuntarily leaks out of ones mouth (if not careful). As the fork raises to my lips, beads of sweat break out in anticipation, on my forehead. As the morsel of wonder enters my mouth, and in spite of the plethora of flavors, something is missing. What is that necessary ingredient? SALT!!! I am simply not kidding. In spite of being a culinary master bringing diverse flavors together, and making tasty meals out of almost anything, my wife habitually under salts the food she cooks for our family. My wife on the other hand would tell you I am addicted to salt, so much so that I ought to be the poster child for “high blood pressure” (my blood pressure is actually very good). You may be wondering what is the big deal with salt. The big deal is that salt enhances flavor and in meat it enhances juiciness. Top chefs will report that the right amount of salt, makes the flavor of food blow up in wonderful ways. I do realize that one can use too much salt, like the guy in the picture above, but salt is often the missing ingredient, when food is lacking taste; because salt enhances the power of the flavor of food. Therefore in your cooking add a little more salt. In like manner there are many powerful passages of scripture, where God’s promises are dripping with potential. We read them and we rejoice at the prospect of what they hold for us. As we pour over the words and consider them, the Holy Spirit speaks “This is for you”. In those times we begin to see we can “live by every word which proceeds forth from the mouth of God”. Yet when we taste to see that the Lord is good, we find something is missing. We understand the promise and potential, yet there seems to be a disconnect in its coming to pass. We take another bite and another hoping in faith for the fulfillment. Eventually we will recognize we can’t avoid the something that is missing. We can see this illustrated from a familiar passage we use in attempting to overcome life controlling issues. This passage happens to be a “go to” passage for many who instruct in Biblical deliverance. I happen to think this is with good reason, for this passage is filled with truth on the spiritual warfare; which includes the battle against our being sanctified by the Holy Spirit into the Christ life. A problem arises when we look at this passage apart from its original context. When this occurs we are trying to ingest a potential laden promise of God, while missing an essential ingredient in assimilating it by faith into our experience. 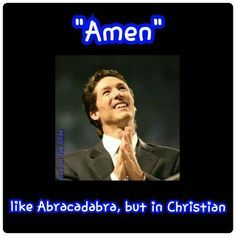 When this occurs we tend to proclaim the promises of God, like a magician’s “Abracadabra”, instead of receiving it by faith, according to the word of God. Over the course of my pastoral life I have grieved to hear sincere Christians, “name it and claim it”, attempting to “blab and grab” the potential in the words “bringing every thought into captivity to the obedience of Christ”. We have even simplified the expression, to our detriment to “I take every thought captive”. This leaves out the more labor intensive and essential words, one being “obedience”. In order to avoid the error, which leaves us wanting and powerless against strongholds, we must consider what Paul was communicating and how that opens the door for a more personal and powerful application in our walk with Christ. When dealing with II Corinthians 10:4-6 we see it is written as Paul is defending his apostolic authority. Paul had real enemies w ho were trying to undermine his calling and message in the sight of the Corinthian believers. When reading his first letter to the Corinthians we see the beginning stages of this battle in the very first chapters, where the church is being divided into factions; some claiming to follow Paul, some Peter, and even some the Lord Jesus Christ (I Corinthians 1:11-13; 3:1). Reading further into I Corinthians reveals false teaching, on legal matters between brothers, marriage, the judgment seat of Christ, gifts of the spirit, Christ’s bodily resurrection and the return of Jesus. In the apostle speaking truth to those divisions and heresies, he made some enemies. These enemies in turn were teaching the sheep to disregard Paul’s authority and attack the leaders who stood up for truth. 2 Corinthians 10:2-3 (NKJV) But I beg you that when I am present I may not be bold with that confidence by which I intend to be bold against some, who think of us as if we walked according to the flesh. For though we walk in the flesh, we do not war according to the flesh. In Paul addressing the lies (satanic doctrine) that have divided the Corinthians from simple devotion to Christ, and the false teachers (satan’s ministers) that were producing them, helps us understand the need for weapons beyond what humanity can produce to win the fight. Spiritual wars are won by God’s supernaturally powered weapon; His Word. In vs. 3-4 Paul sees attacks on himself, as attacks on the kingdom of God. Therefore he is not going to fight with the strength of his arm or mind (I Corinthians 2:4-5). Paul declares the foes of the Christ in false teaching can only be brought down by the power of God’s word. God’s word has destructive force against Satan’s lies, but must be swung. In vs. 5 Paul is saying I am going to swing God’s word like a hammer, to destroy the falsehood, and keep swinging till the strongholds are toppled. Strongholds quite simple are the lies being repeated and taught that lead us to handle life without faith in God’s promises. The apostle would use God’s word as a fire to melt the insensitive coldness that had crept over the faith, who suffered under the falsehood (Jeremiah 23:29). He would do this by bringing every lie into the light of God’s truth. We read further in vs. 5 that Paul would seize the lie and lay it against the truth, not allowing the lie to stand. Paul would bring the heretics to kingdom justice if the readers did their part. In vs. 6 Paul writes “and being ready to punish all disobedience...” Here Paul is letting them know that he will be coming to deliver divine justice (church discipline) upon the false teachers. Yet this is only possible if the Corinthian fellowship picks up the missing ingredient. 2 Corinthians 10:6 (NKJV) and being ready to punish all disobedience when your obedience is fulfilled. Simply put, Paul is revealing to the Corinthians divine justice and in this case church discipline (ecclesiastically), can’t work until the people are on board with God’s weapon (His word). Not just from a perspective of holing the false teachers accountable, but also the individual Christian as well. Consider for a moment that the Corinthians (including the called leaders) were chastised in Chapter 11:4 for potentially “putting up with” those preaching another Jesus, a different spirit, in fact a different gospel. Why would they do such a thing? Because over time the truth of God’s had meant less and less to them in thier every day lives. A mentality of “Were saved, what else is there to know” had begun to creep over them. in this state, they only cared to hear what supported their “get out of jail free card” mentality of faith. In that state, obedience to the word of God and being led by the Holy Spirit had been shelved. In the absence of obedience, carnality was king, instead of King Jesus. Before the church could be the sweetness of God’s grace to a lost and dying world, where truth reigned and the Spirit of God empowered, the false teachers needed justice. That could only happen if the Corinthians added the missing ingredient of OBEDIENCE to thier individual lives, cocnerning the word of God and His true apostle. Without their return to Christ as Lord over their lives, Paul would have no ability to bring justice through ecclesiastical discipline. This passage transcends the corporate setting of its primary context. Its principals on spiritual warfare is instructive in understanding and prosecuting spiritual warfare as individuals, who often have various and sundry known and unknown stronghold in our lives. I do believe that this passage gives us a pattern to deal with long entrenched spiritual strongholds. God’s word is not bound in its application. In dealing with strongholds we must understand that they can arise from false teaching. Strongholds can arise from trauma, where we are unable to process what problems we face in a godly fashion In those times, we can react in patterns of behavior that are sinful. This can include, drugs and alcohol, sexual immorality, rage or anger, depression, perfectionism, escapism (through media, recreation, sports, gambling etc. ), cults and false religions; the list is potentially endless. The issue is that they are well ensconced patterns of thought or behavior tied to root cause. It’s my firm belief that most followers of Christ have strongholds and many of them are infused with demonic chains. Since this is the issue, a mere “name it claim it” or “blab it grab it” declaration is not sufficient. Like Paul, we need to swing the supernatural weapon of God’s word. How does this take place? The stronghold must be diagnosed in light of God’s word. We don’t want to assume we have a stronghold or make one up when we fail in the Christ life. Being that strongholds are behavior controlling, especially when shaken by life, we need to diagnose them in light of what God’s word calls us too, in living the Christ life. Remember that the behavior is not always the stronghold. The underlying lie that leads us to un-Christlike behavior is. For example, staying in bed for a week with depression is not the stronghold. The stronghold is the improper way we perceive life, apart from God’s viewpoint when we are shaken. The behavior may be the bricks of the tower, but not what is being protected inside. Once diagnosed we must swing the word of God. This is most difficult for we have been led to believe that faith brings instantaneous results. Let me be clear. At the cross all strongholds are broken. Yet in spite of this truth, we are left to deal with years of stronghold like behavior in well entrenched patterns of thinking. Many of these are not simply erased because we say a magic beans salvation prayer. These patterns emerge to us as we endeavor to walk according to the word of God. The struggle indicates a stronghold, praise God! It is then we use the hammer of the word of God, when the pattern arises. We do this as long as it takes for the word of God, through Holy Spirit empowerment, to become our pattern. It is often painful demolition. We must remember that this can become very painful. Just like a crutch we become accustomed to using when breaking our leg, where we are fearful of walking without it, our stronghold have been enabling us to cope for a long time. These strongholds, which are inherently tied to the “old man”, appear as “old friends”, the kind that stuck by you when no one else did. Although knowing they are detrimental, destroying our dependence on them and subsequently trusting God can be difficult. Add to this the fact that Satan, wants you to walk with a limp on his crutch, we can see it takes a disciplined, militant effort of faith in God’s word; not merely proclaiming we have taking the thing captive. Finally this is where we arrive at that often missing ingredient of OBEDIENCE. Just as Paul could not administer divine justice to the false teacher, without the church coming under Christ’s Lordship themselves, so the Holy Spirit can not demolish our strongholds, if we have not settled the issue of OBEDIENCE in ourselves. In I Peter 3:15 declares “But sanctify the Lord God (some translations “Christ as Lord) in your hearts”. This means set apart Christ as the sovereign director over every aspect, moment and decision of your life. This means we submit to His sovereignty over our life, willingly. Interestingly Paul prays something similar in Ephesians 3:17 “that Christ would dwell in your hearts by faith”. Why would the apostle pray in this manner, if those who believe have Jesus in their hearts? Because theological truth, however correct, is wasted if it is not practical in the lives of those who believe it. Paul wrote it because Jesus was not the director of their moments, decisions and actions. Jesus is not the invisible guest of my life, he is the King who commands His subjects. The only way this can be seen, is when we take all His directives now commands, no suggestions if we desire to do them. Without this type of commitment (with the missing ingredient of OBEDIENCE), we will be walking contradictions of His grace. When the lsot seek to taste and see the LORD is good, through our lives, they will distinctly know… “Something is missing! This entry was posted in Ephesians 3:17, I Peter 3:15, II Corinthians 10:3-6, Jesus Christ is Lord, spiritual warfare, strongholds, The missing ingredient, Uncategorized. Bookmark the permalink.